Wole Soyinka is among contemporary Africa's greatest writers. The Nobel Prize in Literature 1986 was awarded to Wole Soyinka "who in a wide cultural perspective and with poetic overtones fashions the drama of existence". He is also one of the continent's most imaginative advocates of native culture and of the humane social order it embodies. Born in Western Nigeria in 1934, Soyinka grew up in an Anglican mission compound in Aké. A precocious student, he first attended the parsonage's primary school, where his father was headmaster, and then a nearby grammar school in Abeokuta, where an uncle was principal. Though raised in a colonial, English-speaking environment, Soyinka's ethnic heritage was Yoruba, and his parents balanced Christian training with regular visits to the father's ancestral home in `Isarà, a small Yoruba community secure in its traditions. 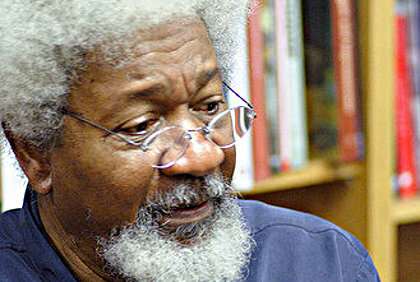 Wole Soyinka writes in English and is chiefly recognized as a dramatist. His many-sided and vital literary works also include some important collections of poems and novels, an interesting autobiography and a large number of articles and essays. He has been, and is, very active as a man of the theatre and has staged his own plays in England and Nigeria. During the civil war in Nigeria in the middle of the 1960s he was drawn into the struggle for liberty because of his opposition to violence and terror. He was imprisoned under brutal and illegal forms in 1967 and was released over two years later - an experience that drastically affected his outlook on life and literary work. Written in the first person narrative point of view, the poem “Telephone Conversation” by Wole Soyinka is a poetic satire against the widely-spread racism in the modern Western society. The poem is about a telephone conversation in England between the poetic persona seeking to rent a house and an English landlady who completely changes her attitude towards him after he reveals his identity as a black African. The motif of a microcosmic telephone conversation, therefore, is employed by the poet to apply to a much broader, macrocosmic level where racial bigotry is ridiculed in a contest of human intelligence, showcasing the poet’s witticism as well as his ingenious sense of humor. Instead of discussing price, location, amenities, and other information significant to the apartment, they discussed the speaker's skin color. The landlady is described as a polite, well-bred woman, even though she is shown to be shallowly racist. We can see that the speaker is an intelligent person by his use of high diction and quick wit, not the savage that the landlady assumes he is because of his skin color. All of these discrepancies between what appears to be and what really is create a sense of verbal irony that helps the poem display the ridiculousness of racism. "The price seemed reasonable, location / Indifferent"
The first sentence of the poem includes a pun that introduces the theme of the following poem and also informs us that things are not going to be as straightforward as they appear. "The price seemed reasonable, location / Indifferent"
If we read over these lines quickly, we would assume that the speaker meant "Being neither good nor bad" by the use of the word indifferent . But, indifferent is also defined as "Characterized by a lack of partiality; unbiased." This other definition gives the sentence an entirely different meaning. Instead of the apartment's location being neither good or bad, we read that the apartment's location is unbiased and impartial. However, we quickly learn in the following lines of the poem that the location of the apartment is the exact opposite of unbiased and impartial. The speaker is rudely denied the ability to rent the property because of bias towards his skin color. This opening pun quickly grabs our attention and suggests that we as readers be on the lookout for more subtle uses of language that will alter the meaning of the poem. After this introduction, the speaker begins his "self-confession" about his skin color (line 4). It is ironic that this is called a self-confession since the speaker has nothing that he should have to confess since he has done nothing wrong. He warns the landlady that he is African, instead of just informing her. "Caught I was, foully" he says after listening to the silence the landlady had responded with. Again, the word caught connotes that some wrong had been done, that the speaker was a criminal caught committing his crime. By making the speaker actually seem sorry for his skin color, Soyinka shows how ridiculous it really is for someone to apologize for his race. To modern Western thinkers, it seems almost comical that anyone should be so submissive when he has committed no wrongdoing. An uneasy atmosphere ensues thereby. Following the caesura (break or silence) , there is “Silenced transmission of / Pressurized good-breeding”, with the word “silenced” again to reiterate the landlady’s sudden change, as well as the man’s intuitive sensitivity towards the unfriendliness on the other end of the phone. There is a foreboding overtone, relevant to the change of the woman’s attitude she would have towards the African man. And we get the first indication of the poet’s sense of humour in the expression “pressurized good-breeding”, too, which is an ironical manifestation of the polite manners landlady was supposed to have for the job of renting premises. After a considerable period of silence, the landlady finally spoke again, “Voice, when it came / Lipstick coated, long gold-rolled / Cigarette-holder pipped.” It is interesting to note that when the landlady opened her mouth again, the feeling she gave off is immediately contrastive of what she was like before, as if her status in society was all of a sudden upgraded, which is indicated by her voice colourfully and olfactorially described. Such evocative language, which greatly appeal to our sensory impressions, conveys the poet’s power of imagination dissecting the sound of an affluent landlady’s voice. And such use of subtly imagistic language is abundantly rich throughout the rest of the poem. Tension rises with the explicitly racial discrimination in line 10 of the poem as the landlady asked “HOW DARK?” The poet uses capital letters here, and a lot more to come, to accentuate the landlady’s effort in seeking clarification for something that would have been irrelevant to their previous topic, yet it mattered a lot to her. “I had not misheard”, the persona reflected. Before he was able to respond, the landlady asked again, “ARE YOU LIGHT OR VERY DARK?” reinforcing the racist overtone in the English society today. The woman’s pushy, unequivocal stance in pursuing the answer dumbfounded the man, who was so confused and so taken aback by the landlady’s sudden change of attitude that he suddenly appeared to have a blank mind. The automation imagery “Button B. Button A” that the poet uses here not only vividly shows the man’s temporary confusion, but also humorously foreshadows the intelligence contest that is to follow. On a deeper level, the image of the readily available automatic selection also implies the rampant racial discrimination taken for granted in the western society. 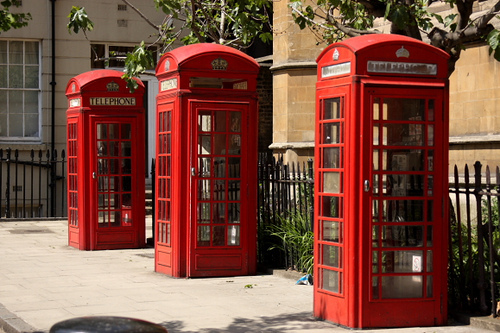 What makes him come to his senses from this sudden dumbfoundedness, however, is ironically the foul smell of the telephone booth, which the persona humorously refers to as a facility of children’s play. “Stench of rancid breath of public hide-and-seek” dragged him out from his dream-like world back into reality. The poet then uses sentence fragments, “Red booth. Red pillar-box. Red double-tiered / Omnibus squelching tar”, to describe the persona’s frantic attempt to ascertain the situation. The diction “red”, which is connotative of terror and disturbance, is used three times to highlight the extreme mental discomfort of an African man, who referred to city buses, again humorously, as the idiomatic “omnibus”. Such extensive use of symbolically chromatic images points out the setting of this poem, for the first and only time, to be London. Thereby arises the sense of irony as the place where the persona was facing such ostentatious racism is in London, a city seen as a symbol of the developed western world, where equality and justice are supposedly valued above all. “This is real!” the persona’s exclamation only serves to delineate his bewilderment at the situation. Deciding not to stay silent for any longer, and as if answering a passport control officer, he replied “West African Sepia… Down in my passport”, which was then responded with the landlady’s “silence for spectroscopic/Flight of fancy.” Here, the character of the poetic persona is seen to undergo a rapid development as he started to react against the landlady’s racist comments, by first forcing her into submission with his superior vocabulary. The double alliteration of “s” and “f” produce a special sound effect, making the atmosphere almost fearfully spooky, illustrating the mental status of the landlady whose turn it was now to feel dumbfounded. Also worth noting is the metaphor of spectroscope, hilariously befitting not only the skin colour of the persona, but also the specific locale of England, where modern science and technology still inexplicably intermingle with superstition. Either the case, the instant victory he had over the landlady in this part of the conversation demonstrates the obvious difference in their education and knowledge, also illustrating the fact that beyond the landlady’s lavish exterior, she was simply a shallow judgmental racist. The contrastive images that the poet has so far established of the persona of the African origin and the landlady of the western European society serve to increase the tension in the atmosphere, precipitating the conflict to its climactic moment. Although the African man had already provided an answer, the landlady did not understand as she was not only bigoted, but also definitely under-educated, as compared to the poetic persona. She continued asking rudely, “…till truthfulness changed her accent / Hard on the mouthpiece “WHAT’S THAT?” conceding / “DON’T KNOW WHAT THAT IS.” Paying no attention to the landlady’s disrespect for him, the persona started to turn the table completely against her, as he took a firm control over the conversation, defending the dignity and integrity of his ethnic identity from the ruthless onslaught of the racist landlady. To effectively show this, the poet juxtaposes various major European hair colours together in a deliberately confusing manner, suggesting that although being an African, the persona is nonetheless a person no different from any Europeans – “Facially, I am brunette, but, madam, you should see / The rest of me. Palm on my hand, soles of my feet / Are a peroxide blond. Friction, caused – / Foolishly, madam – by sitting down, has turned / My bottom raven black – One moment, Madam!” Sensing the landlady’s “receiver rearing on the thunderclap”, which indicates the landlady’s slow but finally furious realization that she had been outwitted, he rushed to ask sarcastically, “Madam, ……wouldn’t you rather / See for yourself?” The quasi politeness of the tone the poet uses here can hardly conceal the ultimate insult, which shows how indignant the man was as he outwitted her by inviting her to see his bottom, thus ending the poem with a tremendous sense of humour, apart from the obvious sarcasm. To conclude, through his poem “Telephone Conversation”, Soyinka is able to satirize the racist society in the west. By showing that a dark African persona is eventually capable of confronting the racial discrimination aimed towards him, and retaliates against it by outwitting the landlady, the poet sends out a clear message - dark skinned people are no less intelligent than people that are lighter in skin colour. Thanks for the invaluable piece of information you have provided in here! Truly appreciate it!